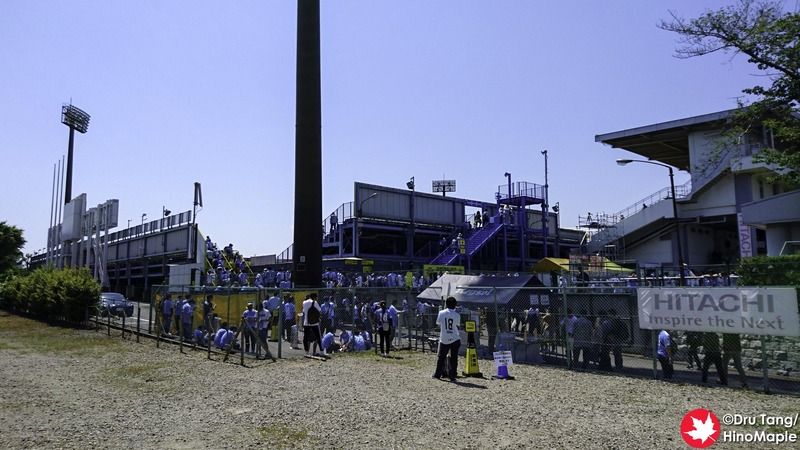 Sankyo Frontier Kashiwa Stadium only has one main tenant, Kashiwa Reysol. 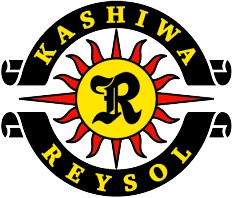 Kashiwa Reysol has been in the J League since 1995. They are predominantly a top tier J1 League team with only 2 years in the second tier J2 in the history of their club. From Kashiwa Station, it is a little confusing to get to the stadium. The easiest method is to follow the crowds, but make sure you have a map on hand just in case. From the station, head to the east exit and head north. The easiest way to not get lost is to follow the tracks on a small road that heads south. Once you get to the major street, turn left and follow it directly to the stadium. This is a road that cuts diagonally through to the stadium but it can be difficult to find at first. From Kashiwa Station, you can also take a Tobu bus. Head out the east exit at Kashiwas Station and go to the rotary; head to bus bay 5 for the bus to Nadogaya (名戸ヶ谷). For home team fans, alight at Midorigaoka (緑ヶ丘). For visitors, continue to Hitachi-dai (日立台). There are only 1 to 2 buses per hour so most fans walk to the stadium. Note: It costs 170 yen for the bus to Midorigaoka and 200 yen to go to Hitachi-dai. IC cards offer a 5 yen discount. If you use an IC card, you must tap in and out of the bus. Note: Visiting team fans are only allowed in the SS and Visitor sections. Kashiwa Reysol tickets can be difficult to purchase. They are partnered with Lawsons meaning you can only purchase tickets from Lawsons or Mini Stop. They do allow ticket sales via J League’s online ticket shop, but only in Japanese. Joining the fan club is worthwhile of are a big fan. It costs 3,000 JPY for a 1 year membership. Membership affords you early bird sales on game tickets and 500 JPY off on regular tickets (up to 6 tickets per game). Members also receive 5% off merchandise at their online shop as well as participating shops in the Kashiwa area. The card can also be used to track how often you go to games to win awards. Buying tickets on the day of the game, or at the stadium, is risk. Games are likely to sell out as the stadium is small and the team is popular. It is better to purchase tickets in advance. For popular visiting teams, visitor sections can sell out in less than an hour. There is a small ticket booth where you can purchase tickets at the main entrance to the park at Sankyo Frontier Kashiwa Stadium. Merchandise can be purchased throughout the stadium. For visitors, there is a single booth in the main area behind the reserved seating area. For Kashiwa fans, there are merchandise booths set up in the major areas. Unfortunately I didn’t have time to look at the main area of the park in front of the stadium. 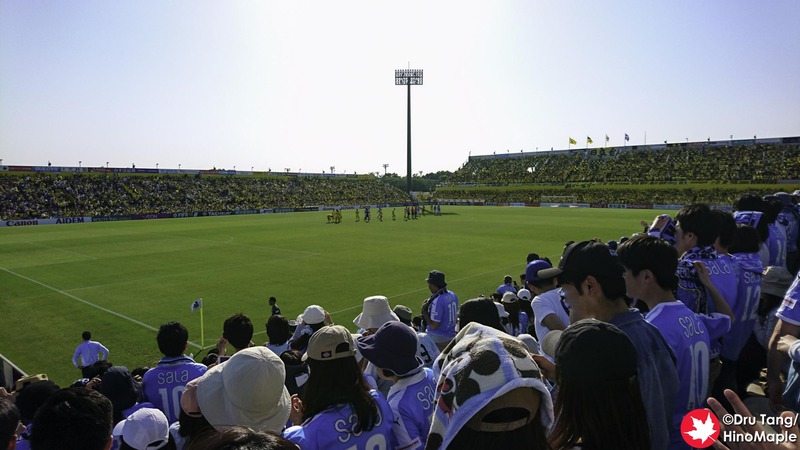 This entry was posted in Stadiums and tagged Chiba, Football, japan, Kashiwa, Kashiwa Reysol, Kashiwa Stadium, Sankyo Frontier Kashiwa Stadium, Soccer, Stadium by Dru. Bookmark the permalink.